LinkedIn back in October introduced redesigned mobile app for users and promised to roll it out soon. The social networking platform for professionals has now started rolling out the redesigned Android and iOS app. For users on Android and iOS, the LinkedIn app is now available via Google Play and App Store, respectively. The company touts that the new app has been built from scratch and stresses on simplifying the overall user experience. The app has been streamlined into five core segments – Feed, Me, My Network, Messaging, and Search. Feed will show content from the social network based on what is relevant for the user in industry, function, and skills combined. The new app will enable users to follow content that they are interested in and unfollow things that are not. “For the first time, as part of a lightweight onboarding process, we are going to ask you what content you are interested in, and over time you can also unfollow things that are less valuable to you,” explains the company blog. The Me section will include the user’s profile including – who’s viewed profile, who is commenting on, or sharing posts. The My Network section in the app will include daily briefing of what’s happening in user’s professional network. The new Messaging section will include ways to connect to user’s social circle via casual ways rather than mails. 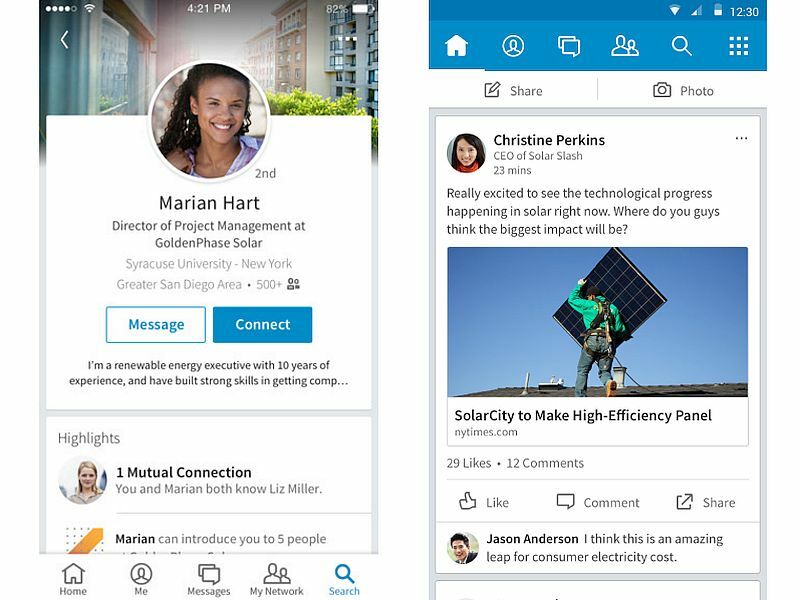 Lastly, the Search is said to be now “300 percent faster and a lot smarter.” The company claims that the new app launcher feature seamlessly launches into other LinkedIn apps for dedicated and deeper experiences such as Pulse, Groups, Job Search, etc. “We’ve not only rebuilt the new Flagship app from scratch but we have taken everything you love and more to develop a mobile experience that is more intuitive, smarter and dramatically simplifies your LinkedIn experience. We know time is scarce, so we made it as easy as possible for you to connect to your professional network and stay informed about the conversations and content most relevant to you,” said Joff Redfern, VP of Product, in a blog post.